Elizabeth is the first to hold the Executive Director position for the Friends. FHVNP was previously managed by an all-volunteer board of directors. She has been with the organization since 2012 and previously served as its Education & Development Coordinator and Director of Development. Elizabeth brings to the FHVNP a 25 year track record of successful leadership, management and fundraising. She spent the early part of her career in legal health care management with Rocky Mountain Health Care Corporation in Denver. 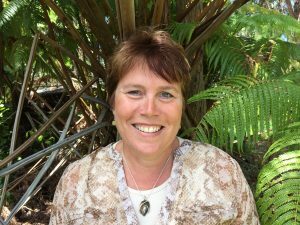 After moving to Hawai‘i in 1995, she worked as a non-profit consultant raising funds for Bridge House, Friends of Waimanalo Library, and the Waimanalo Health Center, where she served as Board President from 2007-2009. Elizabeth lives in the Golf Course subdivision and enjoys spending time with her 14 year old son and 17 year old daughter. 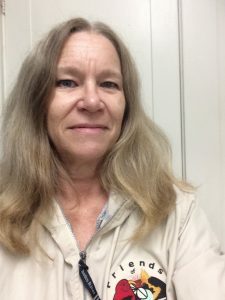 She is passionate about the park, forest restoration and in her spare time enjoys fiction writing, designing, and making jewelry. After her first trip to Hawaii in 2006 she knew this is where she wanted to call home. Ellen moved from Pennsylvania to the Big Island in 2010. Ellen and her husband, Sterling reside in the home they built in Hawaiian Ocean View Ranchos. 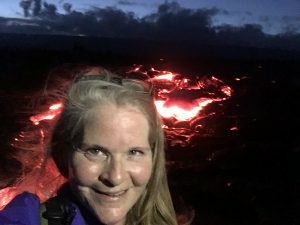 Prior to moving to Hawaii, Ellen spent 25 years working in a financial analyst role in multiple industries, from publishing, medical device company, food distribution, medical care, and transportation. She also served as a real estate tax collector and treasurer for a cemetery. Ellen previously worked part-time with the Friends in 2011-2012. 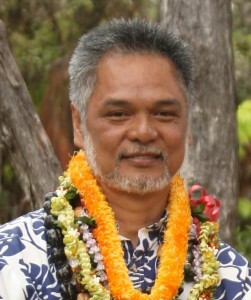 Most recently, she was a data analyst at West Hawaii Community Health Center for the past 3-1/2 years. In her free time, Ellen enjoys golf and exploring the island with their Rhodesian Ridgeback, Dexter. Lynette Smith joined the Friends as their Executive Administrative Assistant in April of 2016. Lynette brings a wealth of experience in front office management, accounting, sales and admnistration. Lynette is a long time resident of Hawai’i (over 30 years), and lives in Mountain View with her husband and daughter. Lynette loves hiking, and if you are out and about in the park, don’t be surprised if you find her on one of the many park trails. Ab passed away in 2017, but he will always be a part of the Friends! If you wish to do an honorarium for Kumu, those donations will go to rebuilding the Hale at the pa hula.